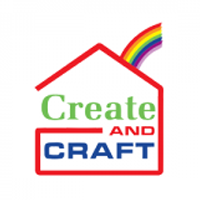 Create and Craft TV is a UK business that is focused on bringing craft supplies and ideas. They offer deals on a full range of items that can be used to craft and create a host of home décor, gifts and other items. The website shares a large amount of ideas and how to's. You can opt for a flex pay option to pay for your purchases online. You can also watch the create and craft TV from the website to get some great ideas. There is a lot of information being shared on this website. For most up to date offers check out Create And Craft on Facebook and Twitter or contact Create And Craft Support for any questions.